I started reading the new book by Gonçalo Cadilhe for one of those coincidences originated by Facebook. I saw an interview with the writer on television and I understood the content of his new work: to follow the paths of Saint Anthony, one of the most beloved saints of Lisbon and, apparently, of several European cities where he passed. I never knew much about him. Just that he’s a emblematic religious figure of the city where I was born and that every year we celebrate his day – June, 13 – with a lot of popular parties. Also, I never knew his religious nature (Franciscan, I’m sure now), nor where he had been, what he had done. Therefore, to know better Saint Anthony, in a traveling context, was more than a reason to buy Cadilhe’s book. It was the first work I read of this author, although for years he’s been considered as the biggest (or at least best known) Portuguese travel writer. That said, I hadn’t any opinion formed about his writing. I can say that I read “In the Steps of Saint Anthony” in a week and this without reading every day. It’s an easy book to read and I’m not saying this to denigrate the author. 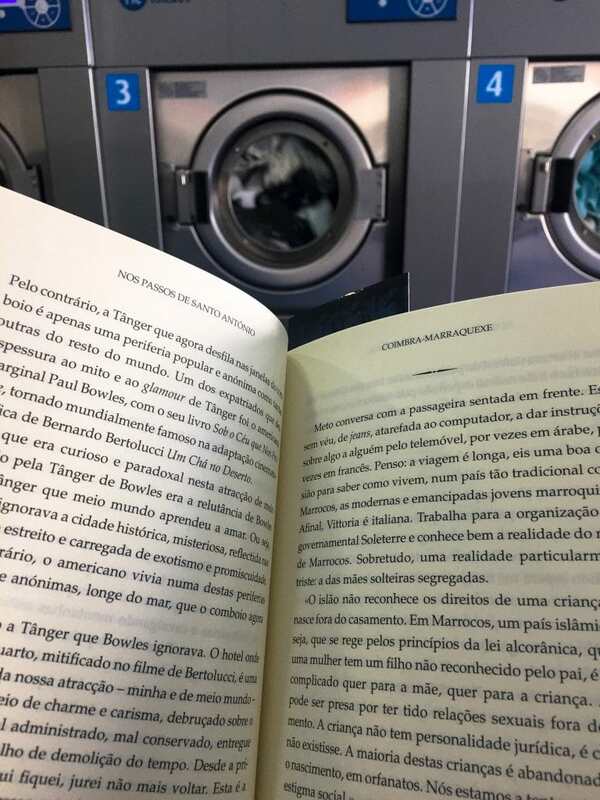 On the contrary, I get confuse with books in which writers have to be constantly giving proof that they have very high knowledge of the Portuguese language. 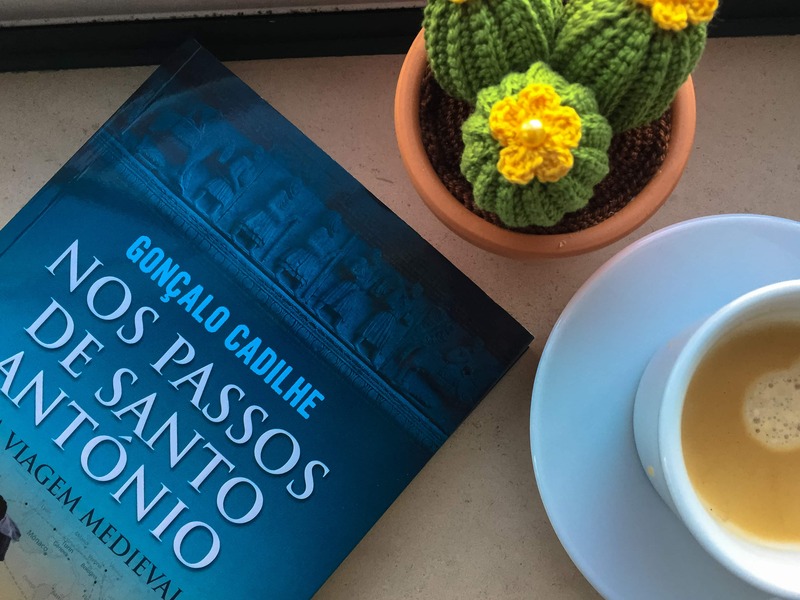 In this particular book, for me, Cadilhe began well, telling his adventure, framing the reader on the subject and describing the places he went or the people he meet. But by the end he got lost in the plot of Saint Anthony’s story, passing to second, even third plan the location where he was supposed to be narrating a certain point in the book. I understand that researching the life of the saint, the whole volume of information obtained, either about him or about the various eras he passed, can be overwhelming. But the purpose of the book – a travel book – is lost in the later chapters. Perhaps because, as he himself revealed in the last chapter, it was getting late and deadlines with the publisher had to be fulfilled. I feel that so much remained to be said of the places where Cadilhe traveled. Another aspect that didn’t make sense to me was the pouring of images inside. We have two large blocks of photographs, all placed together. Wouldn’t it make more sense that the images could be distributed according to the time of the book where these places are mentioned? In that interview that I saw, Gonçalo Cadilhe confirmed that he was contacted by the Lisbon City Council to make a documentary based on his book. I think it’s a great idea. I think the descriptions that I consider being missing from a certain point in the book may be filled by the moving image. As long as Cadilhe doesn’t take the place of a historian instead of a traveler. Come to know certain travel details, for example, that there’s someone who believes that “when we sneeze our heart stops working” or that the connection to Sicily island is made by train … inside a ferry. Of course now I’m curious to know some more works of this author. I believe that they can be very different; if the weight of writing about a big religious figure is removed from the picture. Books written by Cadilhe, the traveler and not by Cadilhe, the biographer. Have you read “In The Steps of Saint Anthony”? And other works of Gonçalo Cadilhe? I would like to know your opinion in the comment box below.